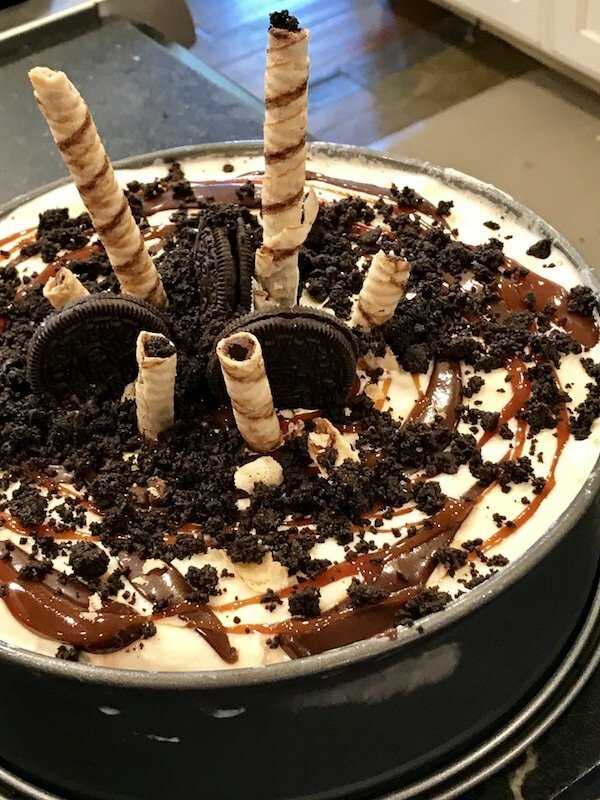 I scream, You scream, we all SCREAM for Ice Cream…CAKE! If you were to ask me what my favorite cake is, I would probably choose Ice Cream Cake. 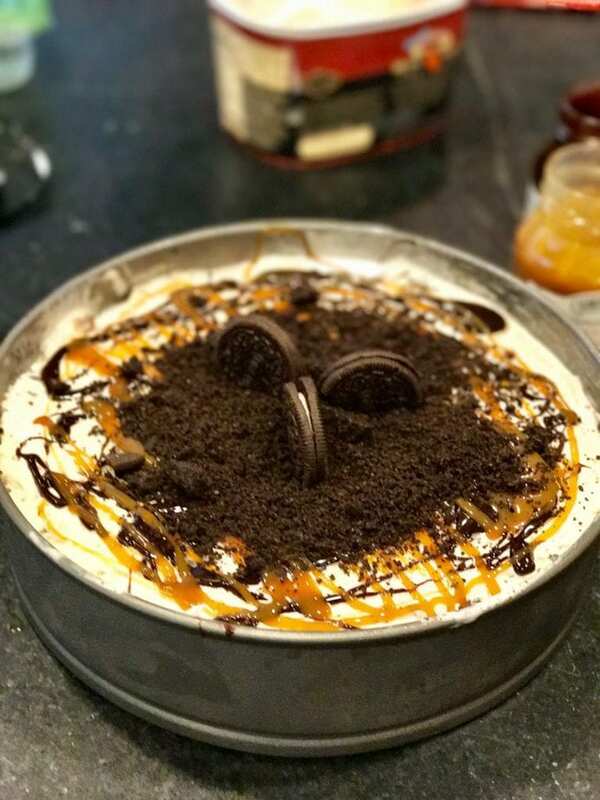 With a buttery cookie crust and layers and layers of creamy ice cream with cookies, hot fudge, caramel drizzled in between. Oh yes!! My first official week of “retirement”….so what’s a girl to do? 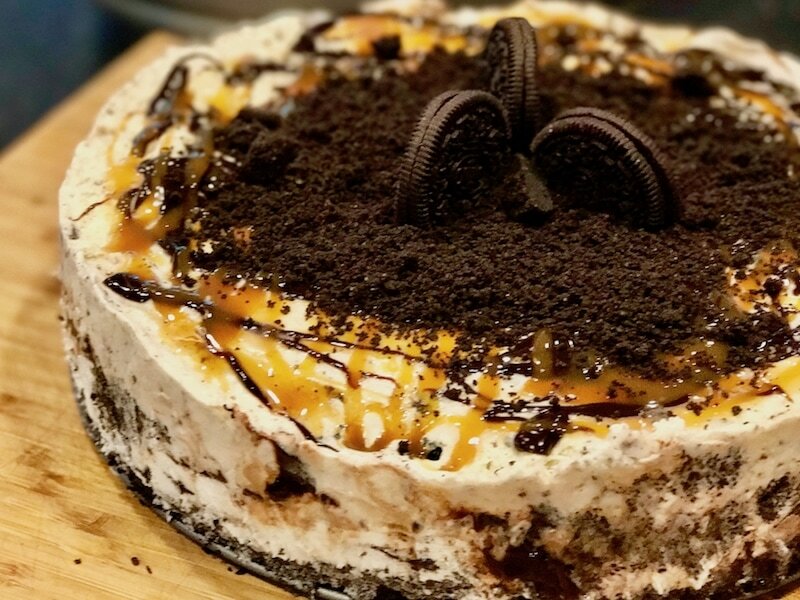 Why make an Ice Cream Cake and make lists, of course don’t you?! 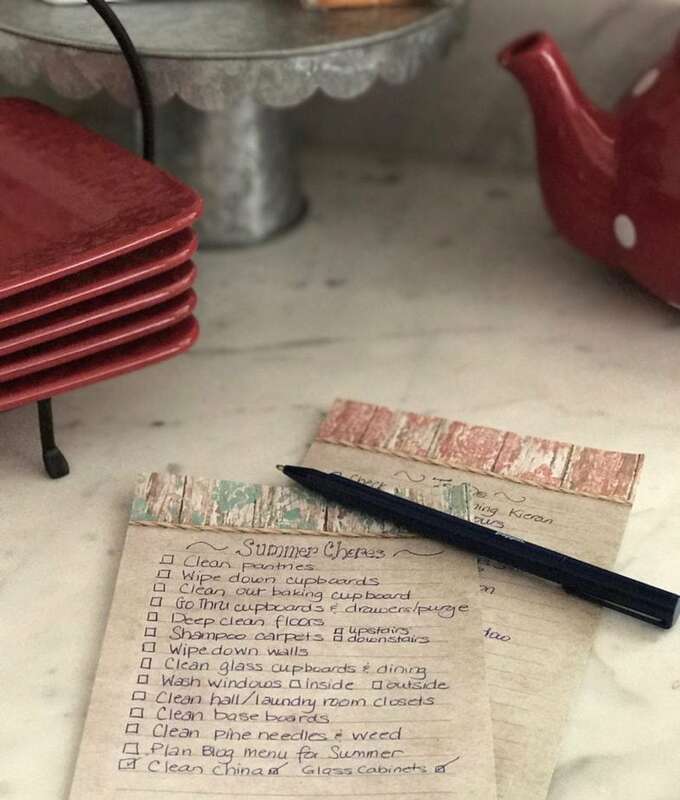 Lists of all of the chores I’ve wanted to get done and just haven’t; lists of Dr’s appointments, reservations and more, I love lists! Are you a list person? I am!! I will even write something down after I’ve done it, just so I can check it off, those of you who aren’t list people won’t understand; the rest of you are nodding your heads in agreement with me right now. I’m easing in to this list as I’m trying to savor each moment of summer with my not so little boys. At 13 and 15, I’m no longer taking them to the pool for hours, instead I’m running them around to tennis matches, lessons, friends homes and the gym. I’m not complaining at all, I love that time with them. Instead of trying to tackle my entire list in one week, it’s for the summer, and to be honest it will probably bleed into the fall as well. I know when my boys are grown they won’t say, “Gosh Mom, we had such a clean house I’m so glad you took all that time washing windows, doing laundry and cleaning floors.” Instead I pray that they will say something like this, “Mom, I love how you drove us around places, took the time to hear about our day, cooked us dinner, taught me to make cookies, sat with us and watched a movie in the middle of the day, came to our games, matches and meets…thanks Mom!” A mother can dream can’t she? But I do know that time makes a difference, I am much more thankful now for my own Mom and all she did and sacrificed for us as kids, now that I have my own. 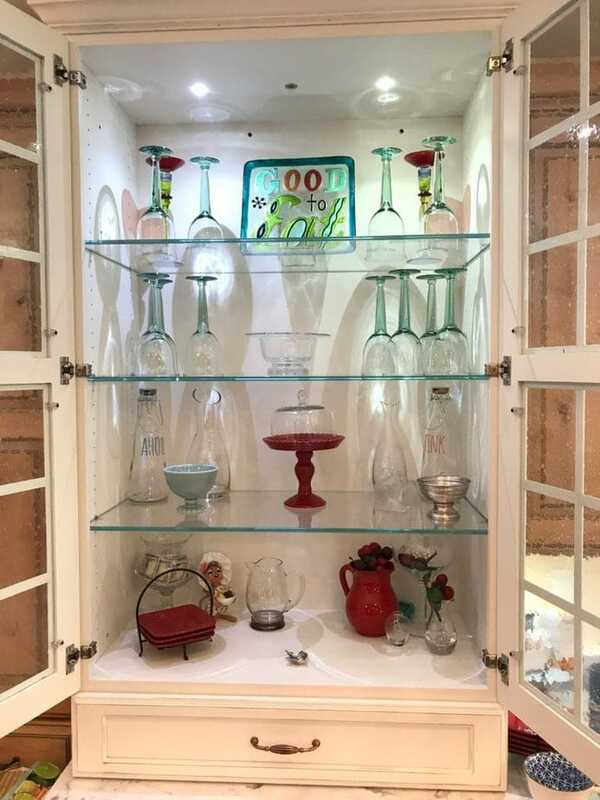 So instead of taking on even a chore a day, I took one and broke it up into several days; cleaning out my china cabinets and cupboards, taking everything out, running all glass and crystal items through the dishwasher (they sparkle way more than my hand washing does). Wipe down the dusty insides (I’m always amazed at how dirty a closed cupboard can get), clean the glass shelves and doors and put everything back in, sparkling clean. It reminds me of how I like things clean and in order, it’s my German at war with my Italian side. I can be pretty darn messy, not dirty but certainly unkempt, untidy, piles build up. I have a friend who’s husband calls that “HSD,” Horizontal Surface Disorder, yep that’s me, if it’s flat, typically things are piled on it. But every so often, my German kicks in, usually in high gear. I’m sure my husband wishes it would kick in more often, though he never complains. But just look how sparkly clean this cabinet is and please don’t notice the piles on either side of the counters! Oi! So what better to do than to reward myself with a lovely ice cream cake, okay, okay, so I didn’t make it right after I cleaned the cabinets, I actually made it for Father’s Day. We had a couple families over for a BBQ to celebrate, it’s a perfect show-stopping dessert! No oven required, doesn’t heat up your house. YAY! Goes together quickly and is a show-stopper! It’s ice cream and cookies people, hello!!!!! Ok, ok, so that is 4 reasons, but all great reasons to go out and pick up the ingredients to make this dessert. 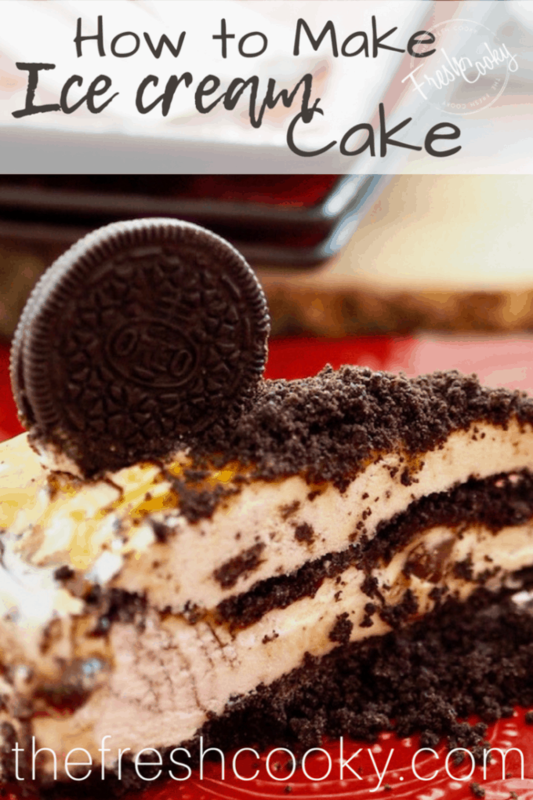 I’ve been making this cake for years, I made up the recipe years ago, because while I liked a Dairy Queen Ice Cream cake, it always tasted a bit “fake” to me, I wanted the real deal and not have to take out a loan to buy one. I deconstructed the cake to have what I now make on a very regular basis. While great in summertime don’t be afraid to make this during the various seasons of the year using your favorite ice creams and cookies. There isn’t any great secret to this cake, I’ve shared the recipe dozens of times and you really cannot go wrong! 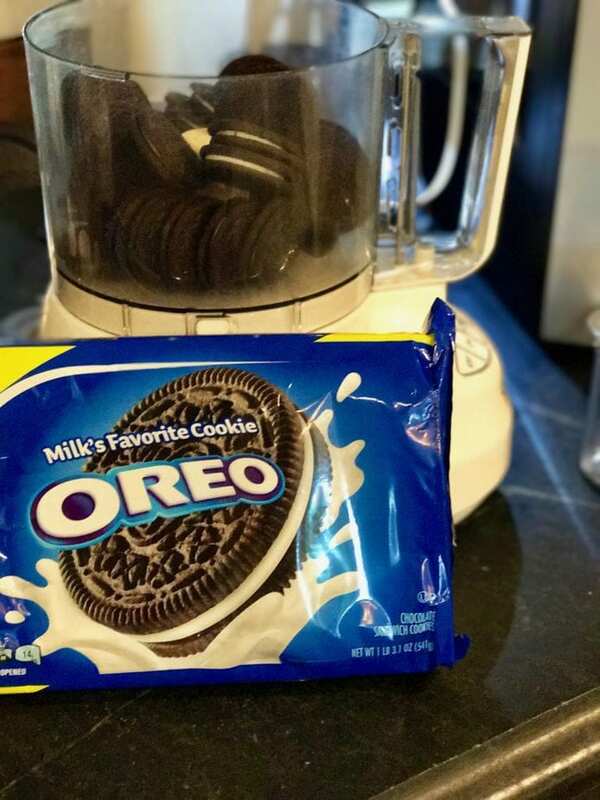 Start with [amazon_textlink asin=’B00R2O5JD0′ text=’Oreos’ template=’ProductLink’ store=’thefreshcoo0a-20′ marketplace=’US’ link_id=’6cb89e7a-7d64-11e8-aa4c-3b950b48e3bf’] (sometimes I’ll make it all organic and go with Newman O’s, tastes just as yummy) and throw them in a food processor (reserving three for decoration on top if you’d like) and process until crumby, no worries if there are some lumps and chunks. 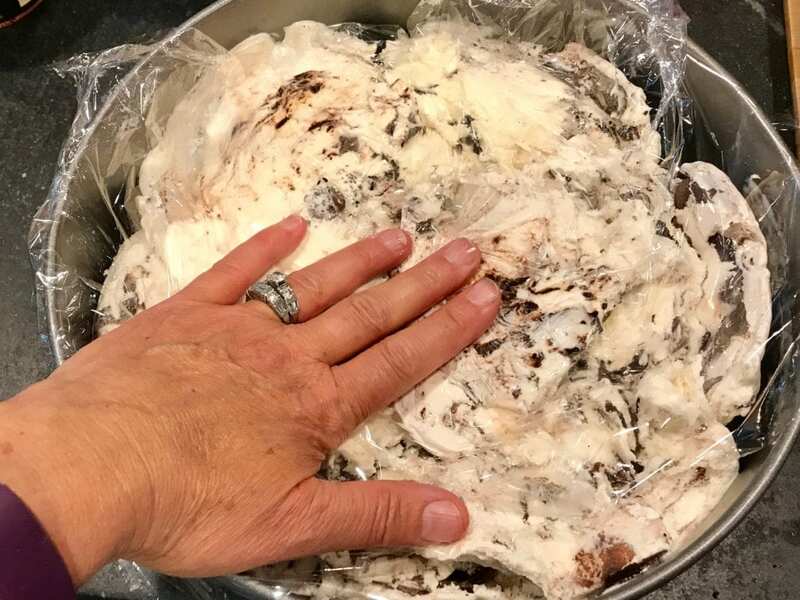 Or if you don’t have a food processor just place in a heavy duty freezer ziplock and smash the roll away until the “cookie crumbles” as they say. TIP: Gluten Free Option, super easy to make GF, watch your ice cream ingredients and your toppings, purchase Gluten Free Sandwich cookies or Chocolate Cookie, you might have to reduce butter so doesn’t get too mushy. Also works great using GF Graham Crackers and butter. Pulse until crumby, then pour in melted butter. Pulsing until combined, not long, you don’t want to make a paste out of it. Reserve ¾ to 1 cup of the crumb mixture. Pat the balance of the crumbs into a 8 or [amazon_textlink asin=’B001VEI06A’ text=’10” springform’ template=’ProductLink’ store=’thefreshcoo0a-20′ marketplace=’US’ link_id=’7f5727f6-7d64-11e8-9ca4-871d683da3ef’] pan (can also be made in a 9×13 pan, just prettier and easier to cut in a springform.) So I don’t get my hands all crumby, I like to use a piece of plastic wrap to press the crumbs evenly. 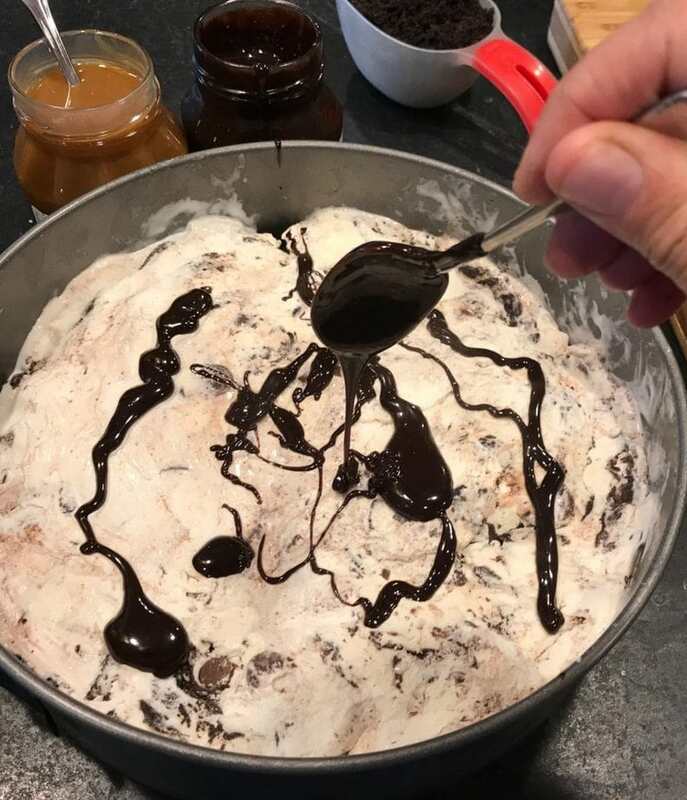 TIP: While you are making your crust, remove your ice cream from the freezer and allow to sit on the counter top for 10 minutes or so to soften slightly. 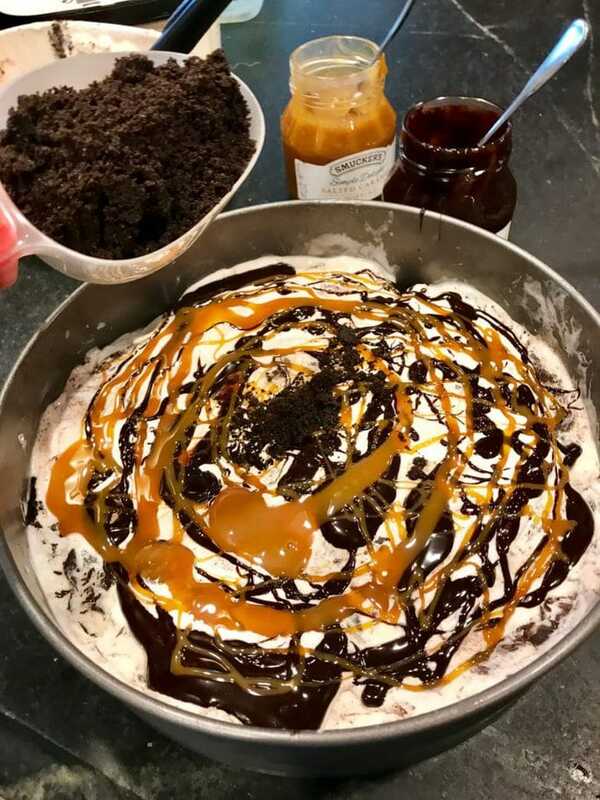 Grab your ice creams (your choice, choose 2 flavors that will compliment or enhance one another, see suggestions below) and your favorite toppings, here I chose hot fudge and salted caramel. Make sure that the toppings are “drizzle-able,” is that a word? If you can stick a spoon in and it falls that should be good. If not, heat in microwave for 15 seconds or so until slightly runny. You don’t want it hot so that it melts your ice cream. To [amazon_textlink asin=’B01IMLVS9K’ text=’scoop’ template=’ProductLink’ store=’thefreshcoo0a-20′ marketplace=’US’ link_id=’c67ccf94-7d64-11e8-8d72-5bbf99441cef’] the ice cream, I like using a sturdy [amazon_textlink asin=’B072MXYQCW’ text=’large metal spatula’ template=’ProductLink’ store=’thefreshcoo0a-20′ marketplace=’US’ link_id=’d9a0b6e0-7d64-11e8-b994-1f71e6c265ee’], generally I run it under hot water and then scoop about an inch sized wedge from the ice cream carton (this really works best if you choose ice creams that are in the rectangular cartons as opposed to round cartons). Scoot it onto the cookie crust with the large end of wedge facing the outside of the springform pan. 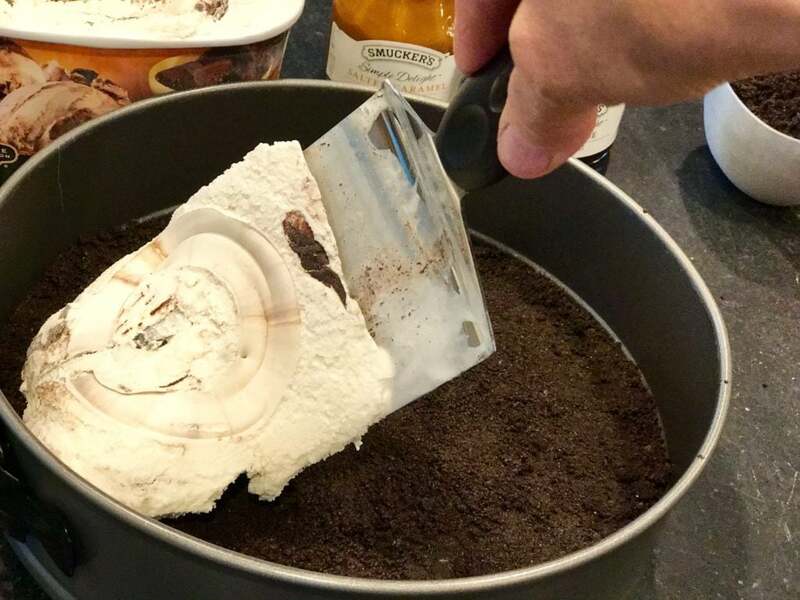 Quickly repeat the above steps until you have filled in your first ice cream layer. 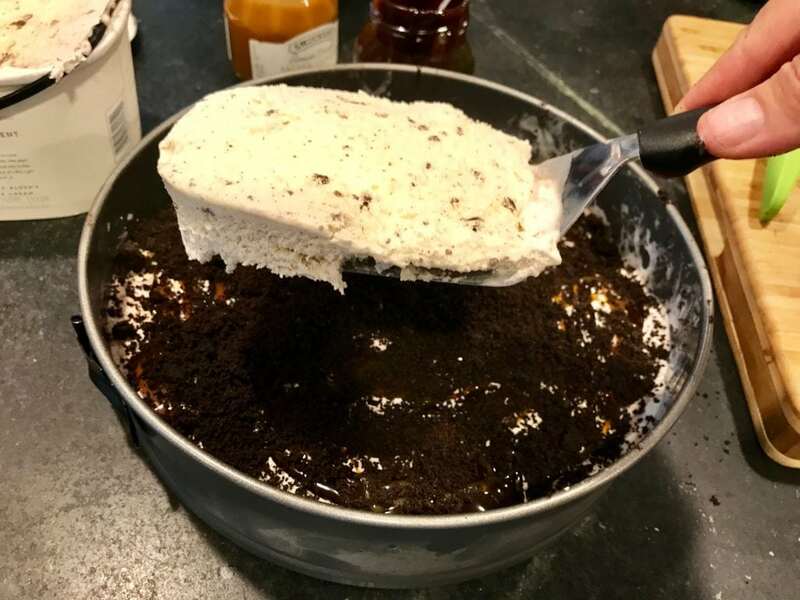 Place a sheet of plastic wrap on top of ice cream and quickly smooth down into a complete layer. Work quickly so your ice cream doesn’t melt, much. If you have time and you want, you may freeze after this step for 30 minutes or so, but I usually just like to get it assembled, so I keep pressing on, melting ice cream and all. 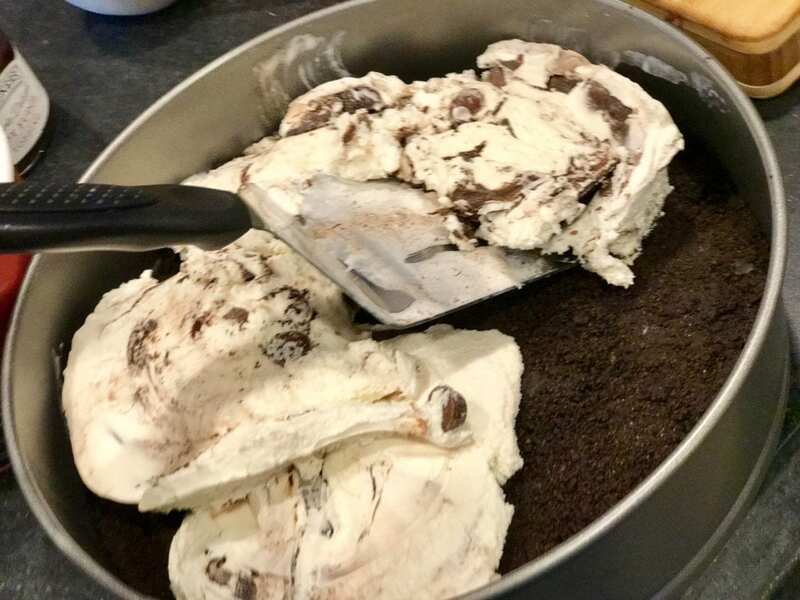 Next sprinkle about ¾ of your reserved cookie crumbs onto the top of the ice cream and toppings. 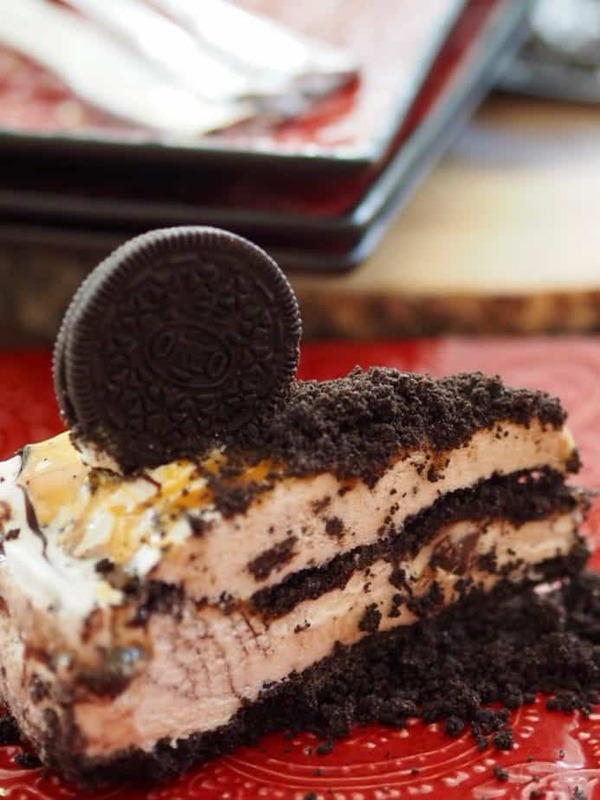 Add your second layer of ice cream, change it up in flavor or keep it the same! Your choice. 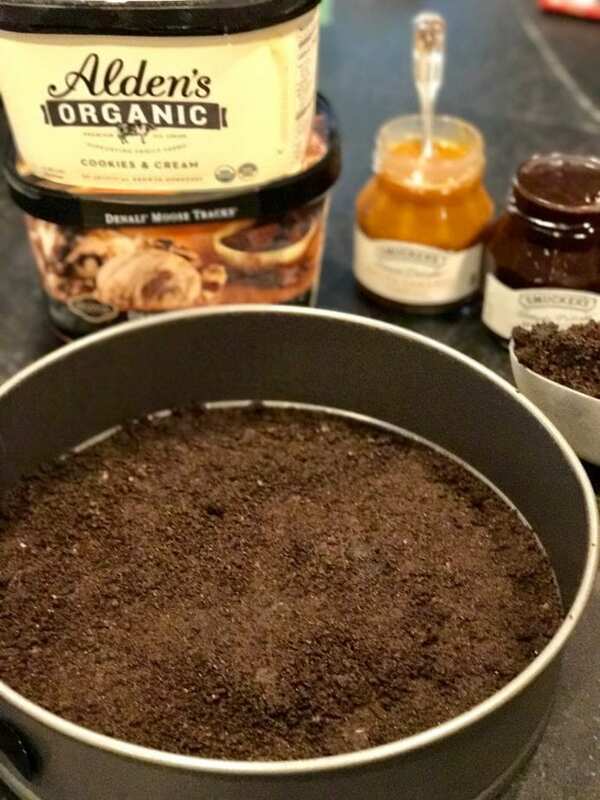 Repeating all of the first steps, place ice cream, smash down, drizzle with toppings, top with leftover crumbs, garnish with reserved cookies if desired. Get that baby back in the freezer as fast as you can! Freeze for 4-6 hours, longer if possible. I typically make this the day before, that way it is nice and firm when you serve it. When serving, slide a knife around the edges of springform pan, then release and slide cuff off. With a long knife run under hot water and slice into cake, serve immediatly. 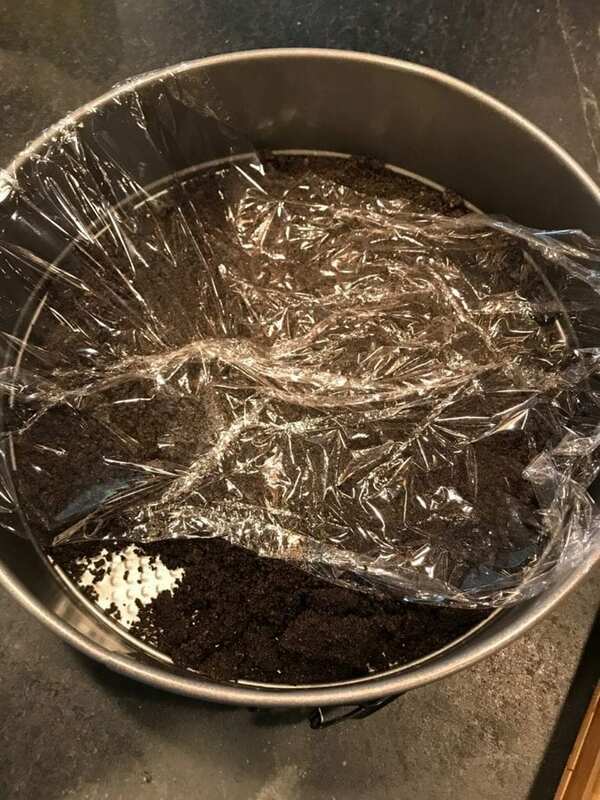 Return leftover cake to freezer as soon as possible. Try these other suggestions for a delicious dessert every time. Peppermint Ice Cream + Vanilla (or chocolate if you prefer) + Peppermint or Regular Oreos for base, garnish with candy canes. Seriously, whatever combo you would like! Go for it! And if you like this recipe, give these other cool summer recipes a try. Buttery Cookie Crust with layers of creamy ice cream drizzled with your favorite sauce! The perfect summertime treat. For the crust, put cookies in the bowl of a food processor and pulse until crumbly. 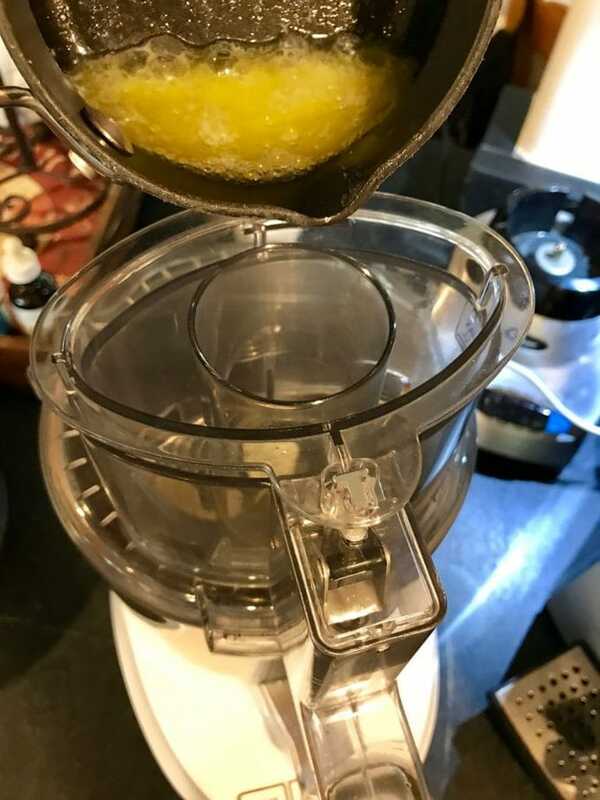 Melt butter and add to food processor while pulsing to combine. 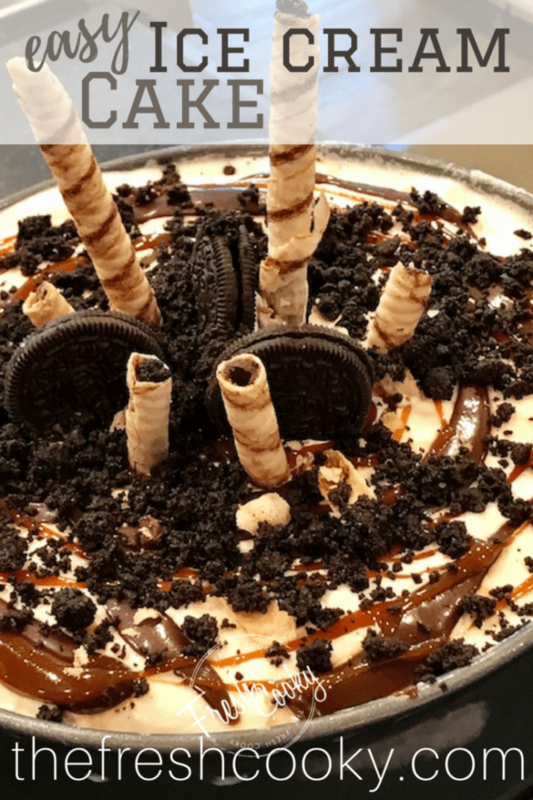 Drizzle some of your favorite toppings over the top of the first layer of ice cream. Sprinkle about ¾ of the cup of reserved cookie crumbs on top. Repeat steps 5-7 with the second ice cream. Finish with a final drizzle of your favorite toppings and sprinkle remaining crumbs on top. If desired, place 3 cookies in the middle as desired. TIP: For GF crust purchase GF Sandwich cookies or GF Graham Crackers, use slightly less butter. Copyright 2017 | The recipe for Ice Cream Cake first appeared on The Fresh Cooky. You had me at the word “easy…..!!!!”? BKS, even YOU can do this! Made it for some high schoolers last night and they were mighty impressed. Hardest part is clearing enough room for it in my chaotic freezer. Beautiful and easy!